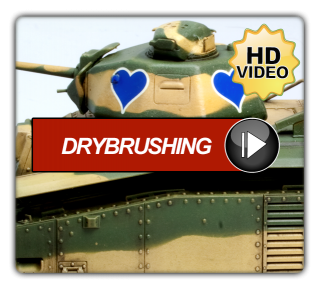 It was the result of a requirement for an 8-ton halftrack artillery tractor first issued in 1934. 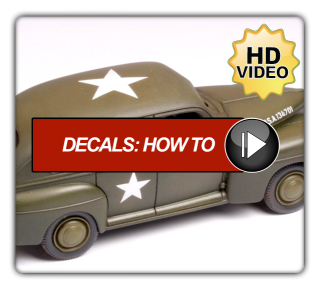 The first versions appeared in 1938 with manufacturing undertaken by several firms including Krauss-Maffei, Sauserwerke & Borgward. One of the most attractive variants was the Sdkfz.7/2 which was an anti-aircraft platform mounting the 3.7cm Flak gun to the rear & a large armoured cab area at the front. 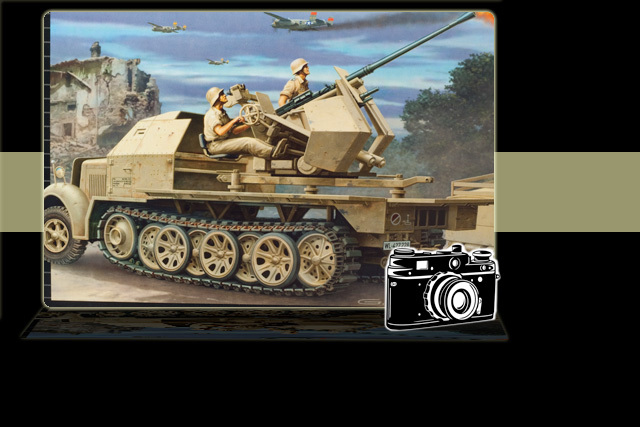 It's great to see this vehicle in 1/72nd scale courtesy of Revell of Germany. 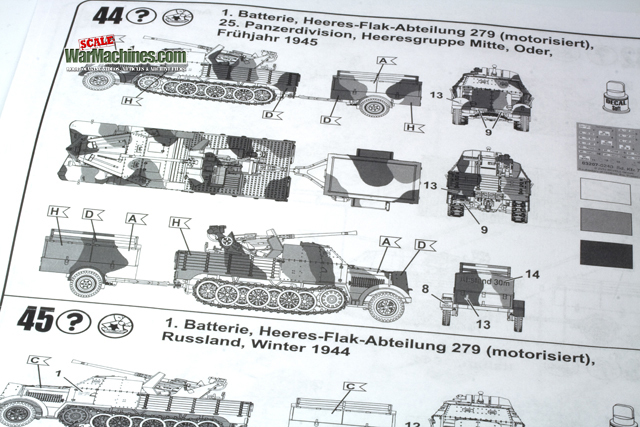 Reference 30207 is their braille-scale rendition of this workhorse halftrack & it uses the parts which first appeared in the 2cm Flakvierling-equipped Sdkfz.7/1. That bodes very well for this release as its predecessor is an impressive kit. It's right up there with today's finest standards. 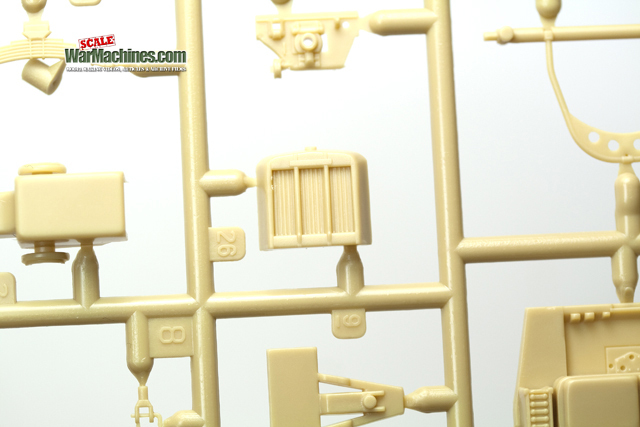 Take a closer look at our sprue shots & you'll see what we mean. 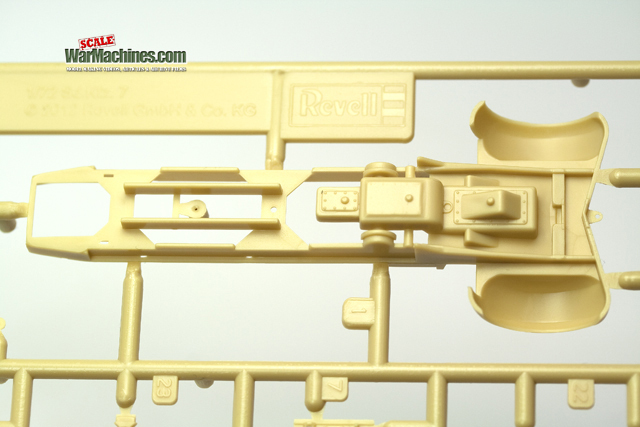 On opening the box, there's a substantial amount of parts moulded in a pleasant pale yellow plastic. You can tell just from the sheer volume of parts that this will be a detailed kit. 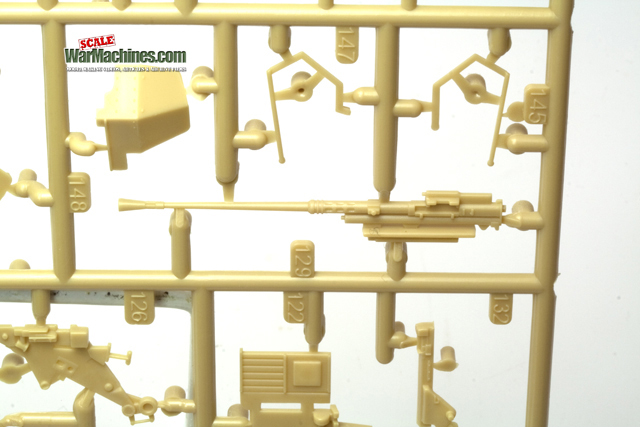 The hard part in this scale is to replicate items like the gun, on-board tools, tracks & running gear in a realistic way. 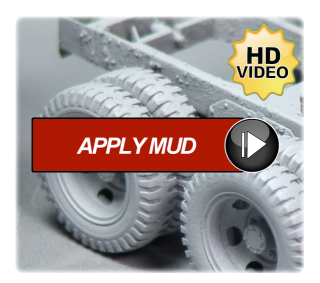 The good news is that Revell have nailed it. The gun is very cleanly cast & boasts some great detail. 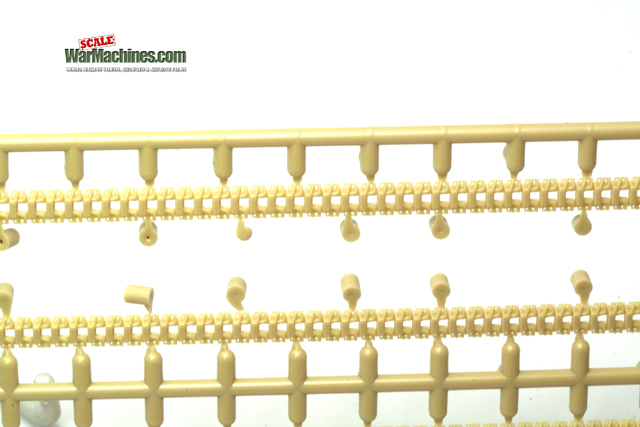 The tracks are moulded convincingly as a single piece that can be heated & moulded to shape with hot water. 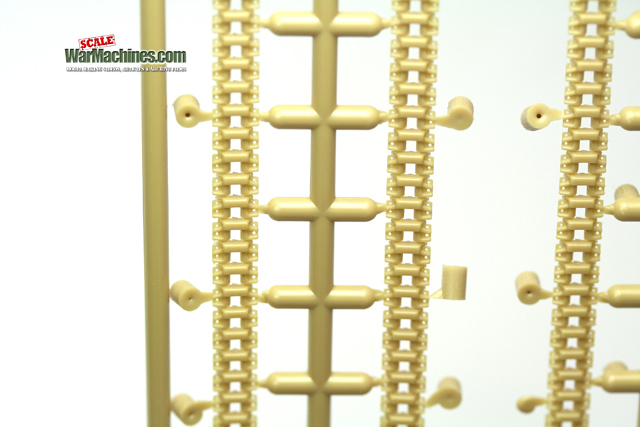 The tracks take their place around some very impressively-moulded wheels that are very detailed. They are moulded together for ease of assembly - a great touch. The crew cab area & engine bay are very accurately moulded & the radiator grill is a extremely fine in this scale. 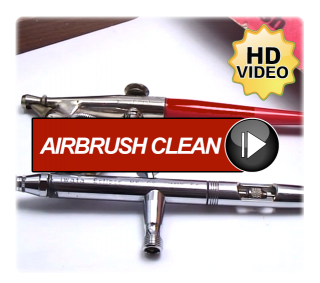 The tools too exhibit the same quality & will look good once in place. 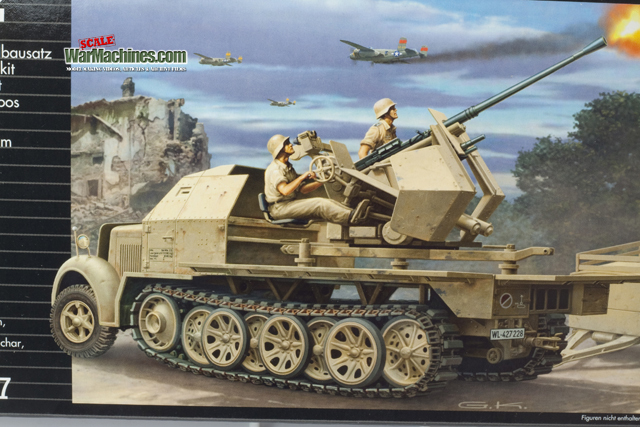 There's a trailer too that was used to carry extra ammo & looks just as a good as the halftrack itself. When it comes to painting & decoration, there's a choice of four schemes & a fairly hefty instruction booklet will guide you through the forty or so stages of construction. 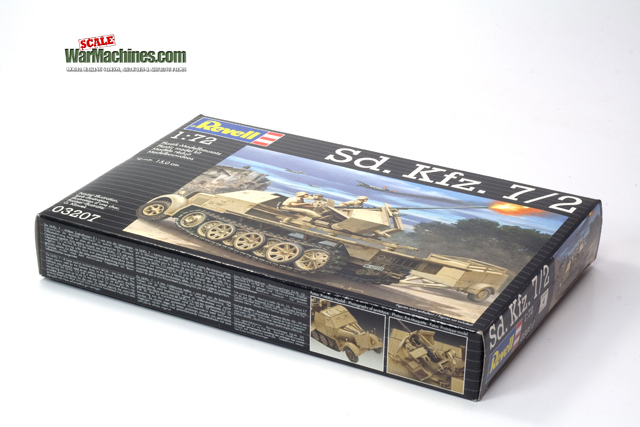 This is such a detailed kit it may be too much for beginners but, fans of 1/72nd scale kits will be overjoyed to see such a fine model crammed with the sort of level of detail you'd expect in a larger scale kit. 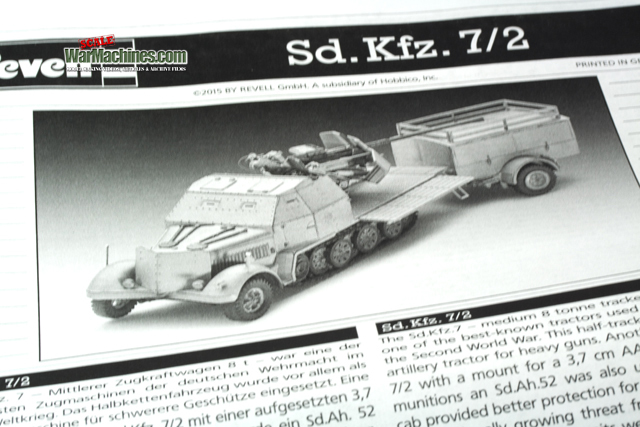 Well done to Revell for getting yet more out of their excellent Sdkfz.7 chassis & releasing another fabulous model kit that will be a joy to build & paint. Keep them coming! 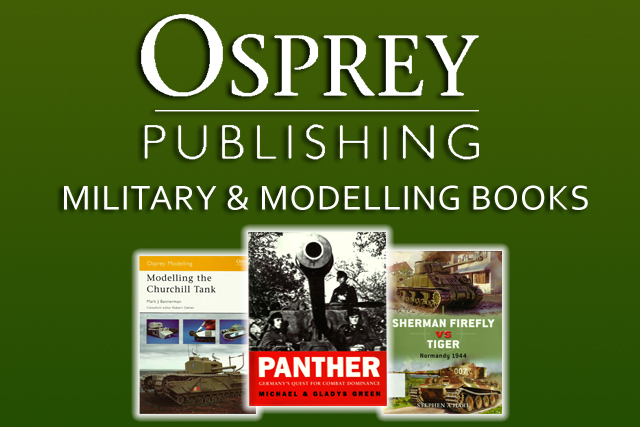 Revell model kits are available from all good toy and model stores. 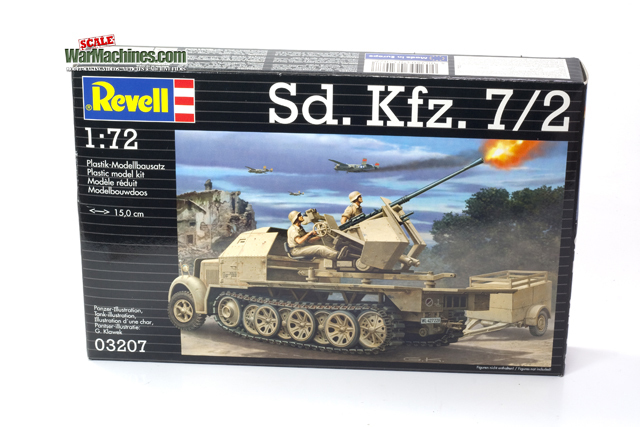 For details visit the Revell website.